As accountants/financial advisers catering only to medical professionals and their families, we see an ever increasing complexity in regard to managing personal finances. The aspirations of better tax management and enhanced asset protection constantly inspire new strategies that are available to consider and potentially apply to our clients. For many the goal of wealth creation is to not only facilitate a lifestyle they wish to have, but also the general improvement of financial well-being for the family unit which we hope will be enjoyed by generations to come. It is this transfer of wealth that I wish to discuss in this article and the usual ‘surprises’ that pop up when we have the discussion with our clients. The transfer of wealth between generations is encapsulated within the Will of a generation, and whilst the transfer in reality is happening before death via assisting children to buy a home and possibly funding education costs for grandchildren, the Will must deal with all assets if an unforseen accident was to happen tomorrow and the luxury of gifting is removed. There are several assets that fall outside the parameters of a Will, this is where the ‘surprises’ lurk, these are primarily assets held as Joint Tenants and assets held in non-unitised trusts, including superannuation and family trusts. As you can imagine, most people own their home as Joint Tenants, so the family home is not initially an estate asset. This changes when one of the owners pass away and the asset becomes 100% property of the surviving owner and is then dealt with under their Will upon death. Also important to note is if a couple dies together in the same accident (car crash for example), the older member is deemed to have died first and the above rules apply. A very important point to note where previous marriages are involved. The introduction of trusts for asset protection and tax planning is commonplace, and often a family trust is the primary vehicle for the creation of long term wealth. The important issue with this scenario is for the client to understand that what they have in a trust is ‘control’ over the assets but not ownership. As such when a client with a family trust considers their estate plan and wishes to give a specific share portfolio held within the family trust to a particular beneficiary, they find the asset is not technically theirs to give, they don’t own it. The same is true of superannuation, a form of trust vehicle that is a focus for our long term wealth creation and remains the most favourable tax environment. Upon the death of a member the allocation of death benefit is in the hands of the trustee of the super fund. They are required to consider any Will in place but they are not bound by it, unless the member has made a Binding Death Benefit Nomination. This can be to a specific person/people or can be made to the member’s Legal Personal Representative and thereby it does come into the Will. As a superannuation death benefits does not form part of the estate process these monies can be distributed without need for probate or due process, as such careful consideration needs to be given to how a binding nomination is applied. As you can see, it is a very real possibility that a couple in control of significant family wealth may actually have very few assets that would be dealt with under their Will, which is indeed a surprise to many. 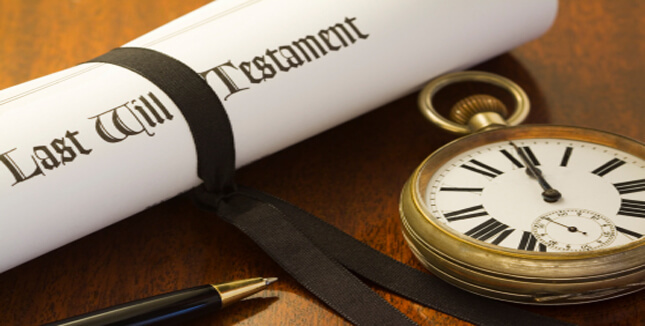 Estate planning and how to deal with the transfer of wealth is an important part of anyone’s financial plan and should be considered carefully, especially when introducing new structures to accumulate long term wealth. If you wish to review your estate plan please contact a MEDIQ Medical Wealth Strategist.